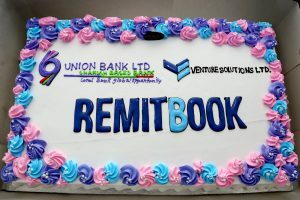 Union Bank Limited (UBL), the only Shariah based bank has introduced new software ‘REMITBOOK’ for remittance management in association with a leading Bangladeshi software company Venture Solutions Limited (VSL). The program held at the bank’s Gulshan Office on January 14 this year. Union Bank Managing Director Mr. Omar Farooque and Venture Solutions Limited Chairman Mirza Aminur Rahman signed an agreement on behalf their respective company. Being a complete remittance management application for the entire ecosystem, REMITBOOK dynamically manages all the operational procedures of collecting money from the senders at the multi-layered source-end and distributing money to the beneficiaries at the multi-layered distribution-end through single channel. VSL Chairman Mirza Aminur Rahman said, “We are very happy to provide this software to Union Bank. 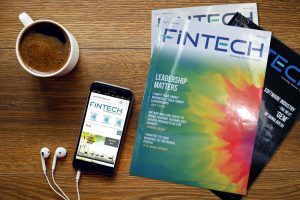 This software actually introduces some innovative and intelligent tools to promote remittance business where the Exchange Master, Parent-Child Agents Controller, Sibling Agents Controller, Anti-Money Laundering Compliance Manager, Any Agent Service, multi-layered billing master etc. are noticeable”. Attending as a chief guest Mr. Omar Farooque said, “It’s a pleasure to get the innovative stuff for the bank. We have always been craving for new ideas and innovative project since the establishment of Union Bank. Hope, this application software ‘Remitbook’ will help us a lot and thanks Venture Solutions Limited for extending their supporting hands to us”. Gazi Mahmud Hasan, VP and Head of International Division of UBL presented the key points of the software to the audience and the delegates at the program. Besides, other dignitaries from both the companies were present at the meeting including UBL Additional Managing Director A.B.M Mokammel Hoque Chowdhury. The program ended with a little celebration by cutting cake and photo sessions.